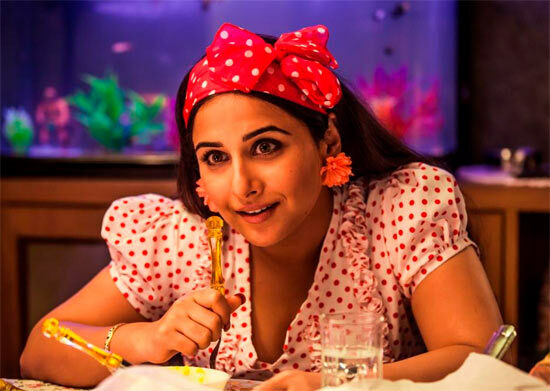 After a serious and restrained performance in No One Killed Jessica, Vidya Balan will team up with its director Raj Kumar Gupta once again, in Ghanchakkar. But this time, she will be playing a loud Punjabi girl with a bizarrre sense of fashion. This will be Vidya's first comedy film. Click Next to see Vidya's look in the film. "I had great fun playing Nitu Bhatia in Ghanchakkar. She is a hatti-katti Punjabi housewife. My designer Subarna Rai Chaudhari went mad trying to put the look together. What she wears is almost outlandish and even bizarre sometimes," Vidya says. Ghanchakkar also stars Emraan Hashmi, and is set to release on June 28.